Undergraduate students at the University of Kentucky are encouraged to take part in independent research under the guidance of faculty. Each year, Linguistics Program undergraduates present their research as part of the Linguistics Seminar Series. 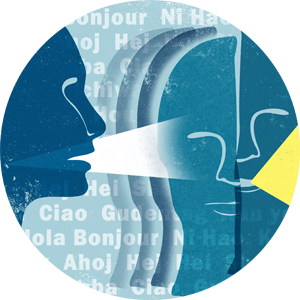 Undergraduate students conducting research are also eligible to apply for the Linguistics Program's Undergraduate Linguistics Research Award. For more on Undergraduate Research in the University as a whole, visit the Office of Undergraduate Research.